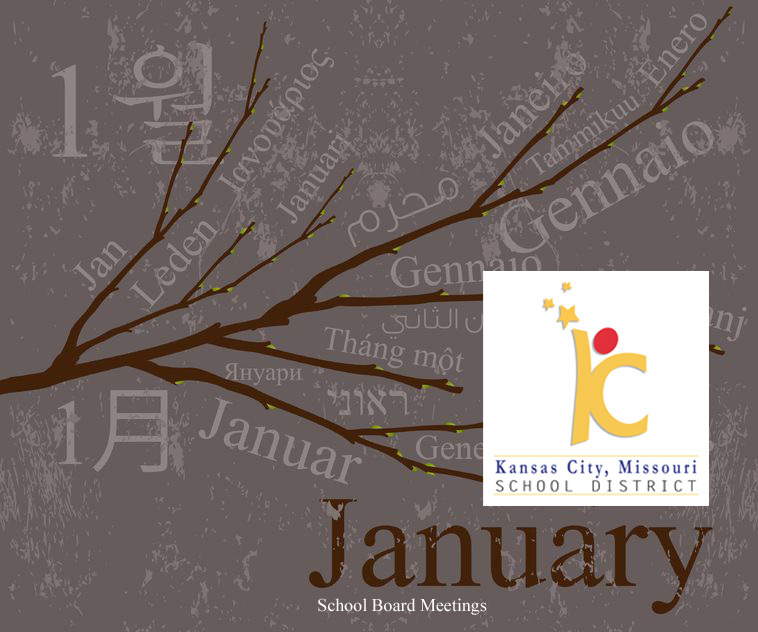 The Kansas City, Missouri School District’s Board of Education will meet Wednesday, Jan. 25, at 6:30 p.m. In addition to routine items on the agenda, such as paying bills and purchasing curriculum materials, board members will hear a report from Interim Superintendent Stephen Green. They also will receive a financial monitoring report. One significant subject of the superintendent’s report will be a draft version of a “Road to Accreditation Action Plan.” Another subject of his report will be a draft of an “Attendance, Truancy, Dropout Plan of Action.” Also, Green will discuss district key performance indicators and the promotion of students based on first-grade reading skills. During the governance section of their meeting, board members will hear a financial monitoring report for the first quarter of the current fiscal year. The purpose of the report is to determine whether administration is in compliance with board policy. Because the district has issues with paying accounts in a timely manner, administration receives only a “Partial Compliance” rating. To improve, administration plans to provide additional purchase order training for staff and is in the process of adopting an electronic payment program for all vendors. Sounds like an important meeting with a great impact on our middle schools. I think that truancy can be a major problem for some younger kids. It’s important to find a way to encourage them to stay in school. Yes. Statistically in middle schools throughout the nation, we start to lose students due to lack of interest in their studies. The challenge then, is — as you mention — finding a way to encourage them to stay in school. The question is whether this is best done through creating meaningful, challenging coursework for them or simply enforcing truancy rules.